Lisa R Chow, ADC President, 602-740-9616 PO Box 64852-4852, Phoenix AZ. ADC Board of Directors page – password protected. 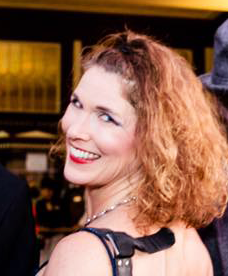 Lisa is Desert Dance Theatre’s (DDT) artistic director, company manager, choreographer, performer and educator. DDT has been on the roster of the Arizona Commission on the Arts since 1981 and has toured throughout Arizona, Mexico, California, Nevada, Texas, New York and the northwestern states. She has choreographed children’s programs in collaboration with String Sounds (String Quartet) for almost 15 years. 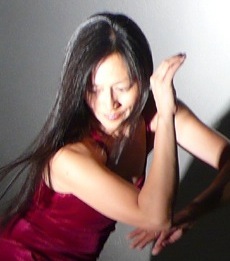 Chow is the co-founder and co-artistic director of Crossroads Performance Group along with Step Raptis, performing interdisciplinary music and dance projects since 1989. She is also the managing director and performer with Step’s Junk Funk, interdisciplinary percussion and movement group that utilizes everyday objects as instruments. 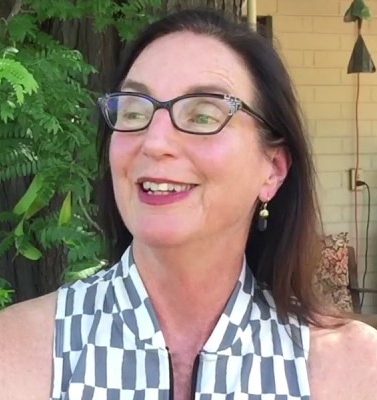 She was 1st Vice President of the Arizona Dance Arts Alliance (2002-05), coordinated and produced the AZ Contemporary Dance Festival and Arizona Dance Festivals for many years, and was a major force in the formation of the Arizona Dance Coalition. Krystyna is a dance specialist hailing from Chicago where she received training in ballet/pointe, character, tap, jazz, ethnic/folk, and acrobatics from Chicago’s best dance studios and instructors. Starting at age five with Evelyn Lare, she continued for 22 years with her “neighborhood” teacher and then embraced the downtown studios: (Richard) Ellis-(Christina) Duboulay S/B, Ruth Page S/B (Larry Long, Dolores Lipinski, Warren Conover, Orrin Kayan, and Tracey Vonder Haar [tap & jazz]). She also studied with Gus Giordano (jazz) in Evanston once she received her driver’s license! Lou Conte arrived on the downtown Chicago scene and Krystyna found herself training with those who were to become the original Hubbard Street dancers. Teachers were Lou (tap / the one summer he taught), Tracey Vonder Haar (tap & jazz), and Birute Birodicaite & Greg Begley (ballet). A steep learning curve in ballet technique eventually occurred with mentors Barbara Dubosq (Deerfield) and Inesse Alexandrov (Vaganova/Skokie). For more than 25 years she attended the Chicago National Association of Dance Masters conventions and training sessions where she received her Master Dance Educator designation and training in all styles of dance from global dance celebrities and master educators, i.e., Tom Ralabate, Terell Paulk, Elizabeth Carroll, Joseph Giacombe, Edward Villella, Roni Mahler, Judy Bassing, Joe Tremaine, Cathy Roe, and so many more. Surviving in the roles of a public relations assistant, financial planner/insurance broker, dance company organizer and co-founder, performer, choreographer, instructor and dance studio owner (DancInc/Northfield IL), Krystyna chose sun over snow and moved to Tucson in 2002. She became more enlightened with some University of Arizona graduate courses (Certificate in College Teaching Fall 2003), and has embarked on a dance adventure that has taken her beyond a dance studio or neighborhood. Author: Taps to Boogie: A Percussive Relationship, ON TAP, a publication of the International Tap Assn, 1 July 2006. Tap Dancing – A Step Towards Better Health 2009. Krystyna enjoys working on behalf of the statewide dance community in Arizona through ADC as treasurer and as editor/designer of the Arizona Dance e-Star monthly e-publication. Send your news to gro.noitilaoCecnaDzAnull@anytsyrK for possible inclusion. She is also treasurer of the Tucson Jazz Music Foundation which provides scholarships to middle and high school age students in Southern Arizona. In addition to her nonprofit work, Krystyna supports the Salsa and Lindy Hop “social dance scenes” and has been studying Danzón (Cuban/Mexican) and Rueda de Casino with the University of Arizona Ritmos Latinos Dance Club – a Cuban style of dance similar to Salsa, and performed in a circle with a “caller.” She continues to pursue learning at Pima Community College (PCC) where she mastered her digital arts skills and learned all about anatomy and physiology. Her favorite semester-end event is introducing her PCC ballroom and salsa students to the Tucson social dance scene! Dancing continues to be Krystyna’s #1 choice for pleasure, for staying in shape, and for staying young! Dr. Susan Bendix is a professional modern dancer, choreographer, improvisational movement artist and dance scholar who has performed nationally and internationally. Currently Susan’s focus is concentrated work in Arts in Healthcare, Dance for Parkinson’s and Dance for Dementia. Working with a broad range of populations: from inner city youth, incarcerated youth, to university students, public health and the corporate sector, Susan is interested in the human, cultural, social and political experiences that live in the body and are expressed in motion. She conducts professional development training in creativity for staff and faculty at Maricopa Community College District where she also teaches dance humanities and improvisation. She has also developed and presently teaches Moving into Mindfulness — a movement-based curriculum for teaching mindfulness to children and adolescents. 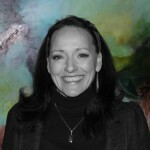 Gina is the executive director of Canyon Movement Company and Canyon Dance Academy. Gina has traveled to Ireland, Italy, and the Southwest where she and the company performed taught classes. She has performed in dance companies in Utah, Missouri, Nebraska, and Arizona. She has been an Artist-in Residence for Arizona where she conducted numerous residencies. 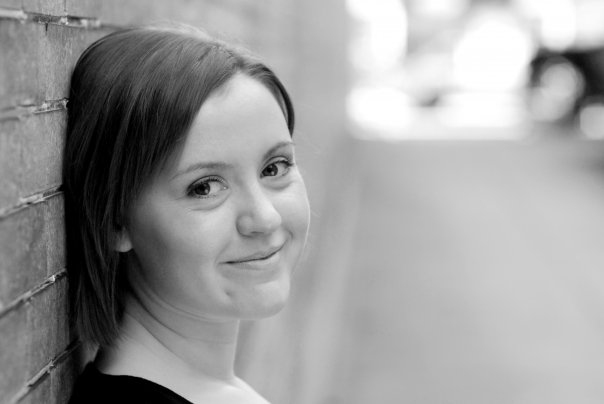 Gina is on faculty at Coconino Community College and has been a guest teacher at the American College Dance Festival. She recently choreographed for Northern Arizona University Theater including “Rivals” and “The Grapes of Wrath.” She received her dance degree from Brigham Young University. Gina served on the Arizona Department of Education (DOE) Committee to re-write the Arts Standards in 2005-06, and the Arizona DOE National Content Review Committee for Arts Assessments. Shannon was born in New Mexico, grew up dancing in the suburbs of Philadelphia, and moved to Arizona in 2016 after spending six years in the Washington, D.C. metro area. She holds an MFA in Dance from University of Maryland College Park and a BA in Dance from DeSales University in Pennsylvania. Shannon is a dance artist, educator, advocate, and writer with an extensive background in dance education, administration, and choreography. She danced professionally with Repertory Dance Theatre, a regional ballet company in Pennsylvania, and with several modern dance companies in Pennsylvania and New Jersey. Her choreography has been showcased at venues from New York City to D.C. and in Arizona, including the Triskelion Arts Center, the Baltimore Museum of Art, Dance Place, and the Arizona Dance West Festival. 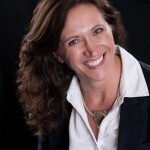 The author of several articles on dance education, including a feature article for the U.S. Department of Education Arts in Education Newsletter, Shannon also maintains a blog at www.shannondoolingdances.com. Since moving to Arizona, Shannon has served as a faculty member and substitute at studios, colleges, and schools including Arizona Dance Artistry, Glendale Community College, and Arizona Dance Education Organization’s Dance at the Core program, and has adjudicated for Maricopa Community College and Scottsdale Unified School District. Mary is a veteran dance educator and scholar who has taught in studios, schools and Higher Ed for more than 30 years. She was full-time lecturer in dance at the University of Idaho from 2006-2011. Originally from Chicago, Mary earned an M.F.A. in Dance from Florida State University. She teaches Ballet, Pointe, Jazz, Modern, Contemporary, Tap, Improvisation, Contact Improvisation, Choreography, Dance Theory, Dance History, Dance Pedagogy, Dance Production, and Creative Movement, including training veteran k-12 Teachers, and Physical Education, Early Childhood Education, and Dance Education Pre-Service Teachers in this methodology. In somatics her specialty is Heller Barre Practice®, (a Floor Barre informed by Kinesiology, Pilates on the reformer, Gyrotonics® on the tower, Ashtanga Yoga in the Vinyassa Style, Anusara Yoga, Breathing techniques, Fred Alexson Floor Barre, Karen Williamson Floor Barre, and Homer Bryant Floor Barre). Many of these classes Mary has taught to numerous ages starting at two years old on up through Senior Citizen, boys, girls, men, women, amateurs and professionals. Mary is a guest teacher for Prescott College. As a Wellness Advisor for 30 years she meets one-on-one as well as offering a retreat, Change Health, Gain Wealth. 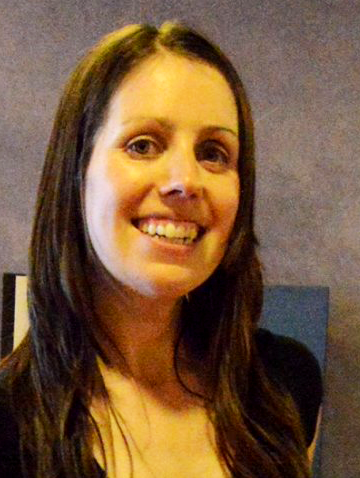 Lori comes to us with an extensive background of event planning and a love of dance. She has a Bachelor of Science degree from the University of Phoenix in E-Business/Project Management. Lori currently is a member of Tucson’s Prime Time Dancers. Besides dancing every chance she gets, Lori works for an advertising agency in Tucson, sits on three marketing committees and is a jewelry designer. Kati (aka Katrin Pantsosnik) is co-founder and director of the Grand Canyon Salsa Festival, a 501(c)(3) nonprofit organization created to produce an annual festival to promote, teach and perform Salsa and other dance styles like Bachata, Kizomba, Zuek and Rueda de Casino. Katin also runs the Flagstaff Latin Dance Collective, and works for Friends of Flagstaff’s Future. She is originally from Tallinn, Estonia. •	photographers, physical therapists, technical artists, and more. Serving Arizona's dance communities and "creating connections" between the dancers and the general public. Send your news and event information before the 25th for the coming issue of the Arizona Dance e-Star, krystyna@azdancecoalition.org.